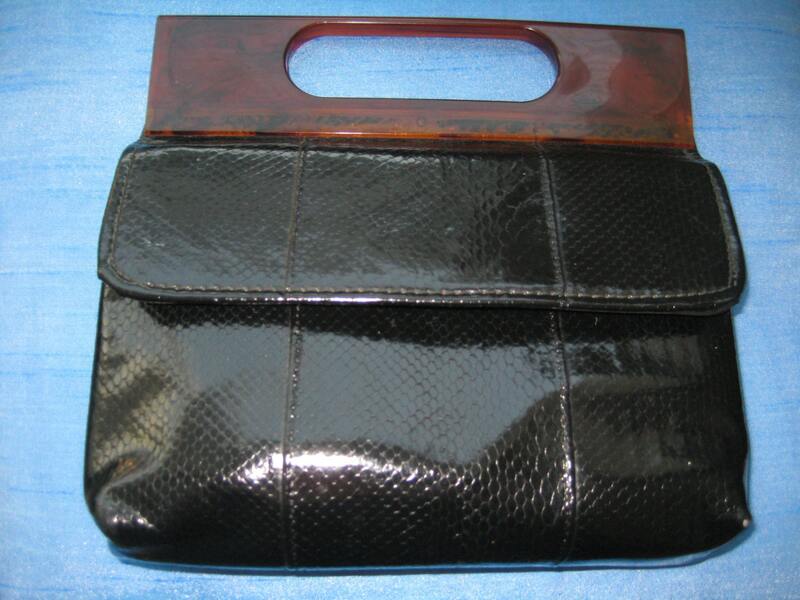 Fabulous black patent leather handbag with snake skin style pebbling. Caramel colored square Lucite handle. Really nice! 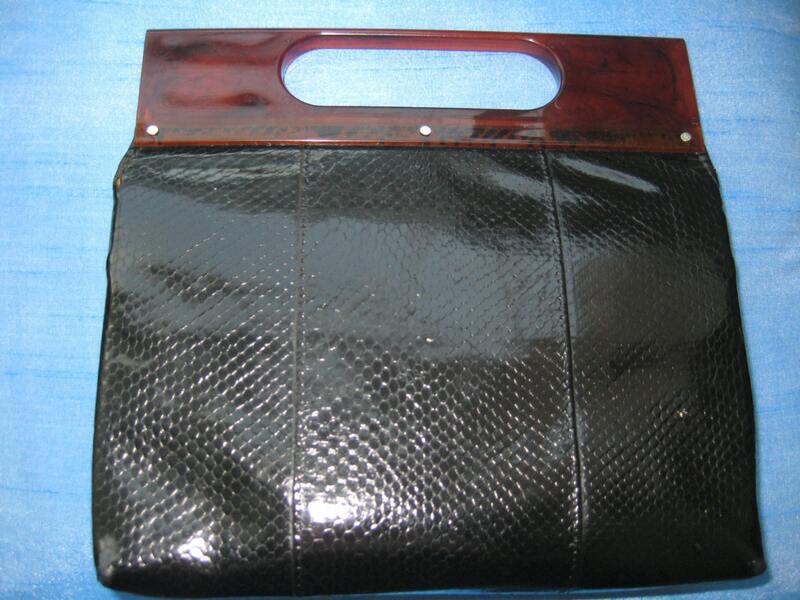 Flap closure with magnet clasp. Black polyester lining with a zippered pocket. Lovely condition. Dimensions: 8.5 inches x 8.5 inches.